Simple to access and difficult to overleap the enchanting condition that is concealed with swaying moraines, bulky high snow clad pinnacles adjusting the silver skyline under the blue sky and mitigating atmosphere, the Pindari Glacier Trek is a standout amongst the most delightful treks in the Kumaon Himalayan district that interests every explorer mind. The Pindari icy mass owes its reality basically to the immense amounts of snow that encourages from the Nanda Devi and other encompassing summits of the Greater Himalayan range. Local people gladly allude to it as the Soul of Kumaon. The appealing treat comes as the Pindari Glacier at Zero Point, whose unearthly magnificence at 12,300 feet will top you off with unfathomable happiness. Its best piece? This trek is flawlessly suited for families, including kids. Pindari Glacier is a delightful trek– yet the prizes, we see, are too little in traverse of 6 days. On the off chance that you are not very beyond any doubt of completing a trek without anyone else, we have options you can attempt. Early in the morning drive to almora via kathgodam, it takes 3 to 4 hours approximately, while heading to almora trekkers can witness the Mother Nature blissfully. In the morning after breakfast drive to loharkhet and from there we will start our trek up to dhakuri, it’s an 11km trek to dhakuri, dhakuri is the gateway to two beautiful valleys of kumaon – Pindari and Sundardhunga, this trek takes you down into the depth of the valley and then a fair climb to Dhakuri. The trek is easy but quite steep and goes through dense forest. After following the trail for few more kilometers from Dhakuri Khal you reach Dhakuri. This is a 8 km trek; Khati is the biggest village which is situated on the banks of the Pinder Ganga, while trek, trekkers witness thick forests of rhododendrons and the most admirable thing about the village is, it is believed that in ancient time the generous villagers provided shelter to pandavas overnight in khati. Today’s trek is going to be an amazing experience with the sound of Pindari Ganga not too far off, After trekking for almost 6 km from Khati you have to cross Pindari at Maliyahound. Throughout the way trekkers will spot the wooden bridges and waterfalls. You can also have cup of tea from the small tea stall available over here. Finally, after a lengthy trek and higher altitude, you will reach near to the second bridge on the Pindari River, right across which is Dwali. This is one of the well maintained bridge. It’s a short trek takes 5 km to reach Phukria from Dwali. The mountaintops enveloped with the white blanket of snow will give you a glimpse of the astonish and mind blowing Mother Nature. Dwali is the last place where you witness normal dense forest. Above it, the vegetation starts diminishing, the breeze become chilled, and the nature creation looks totally mind blowing. Basically the trek from Phukria to zero point is as mesmerizing as it gives you a spectacular view of the Himalayan range. Early trek will be the best option this day if you want to spend a quality time at the zero point, the mounth of the Pindari glacier is known as a zero point. 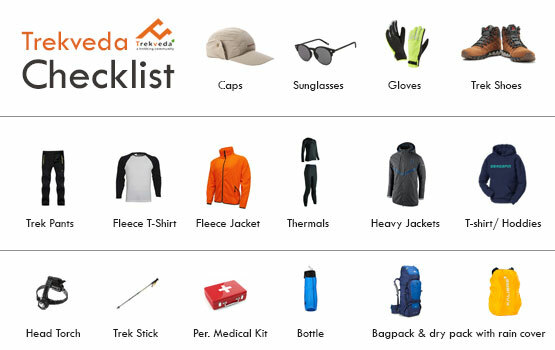 Trekking to Pindari glacier from zero point needs some special equipments and an experienced trekker too. Kafni Glacier is located in the left of Pindari valley. 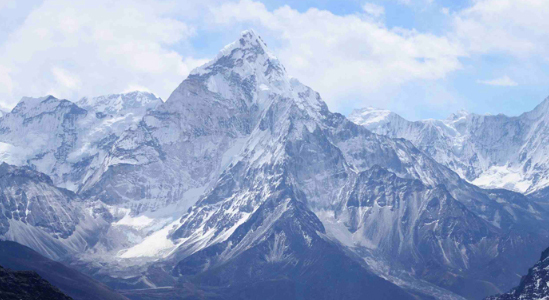 There are two major peaks that are visible from Pindari glacier are- Nanda Kot (6806mts) and Nanda Bhanar (6104mts). Kafni has its own beauty that describes mother nature so well and the creation looks so amazing like as happy as calm. 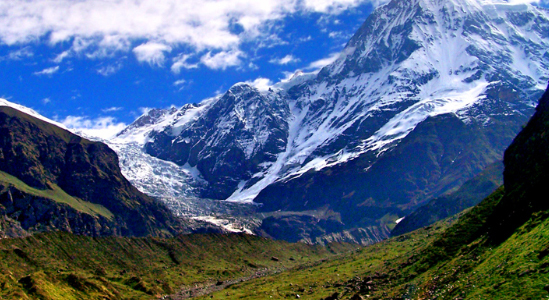 As soon as exploring the beauty of Kafni glacier, trek back to Dwali, return with trail gradually descending to Dwali. Trek back to Dhakuri from Dwali, take a break and rest for the day and have a healthy food over there. Trek all the way to Loharkhet and drive back to Bageshwar takes approximately 5 to 6 hours, relax over night and here the trek comes to an end. In the morning drive back to kathgodam from Bageshwar, carry back all you experience of this journey and relive the memories you captured in your eyes. The Kathgodam station is one of the principle stations in the area and it is an old station. It has great availability to numerous spots and these incorporate Lucknow, Delhi, and Howrah. Tickets from Delhi to Kathgodam via train cost around Rs. 150 for an inferior sleeper ticket and Rs. 400 for a third A/C sleeper ticket. The trek expense of Rs. 18,500 + 5% GST takes care of all expenses of the trek from Lohajung to Lohajung. Backpack offloading charges - If you wish to offload your backpack, there will be an additional charge of Rs. 3,600 + 5% GST. The backpack cannot weigh more than 9 kgs. Suitcases/strollers/duffel bags will not be allowed. Please note that charges will vary for last minute offloading in case you decide to offload your bag after reaching the basecamp (Rs. 500 per day inclusive of tax). Online offloading in advance is possible up to two days prior to the trek start date.